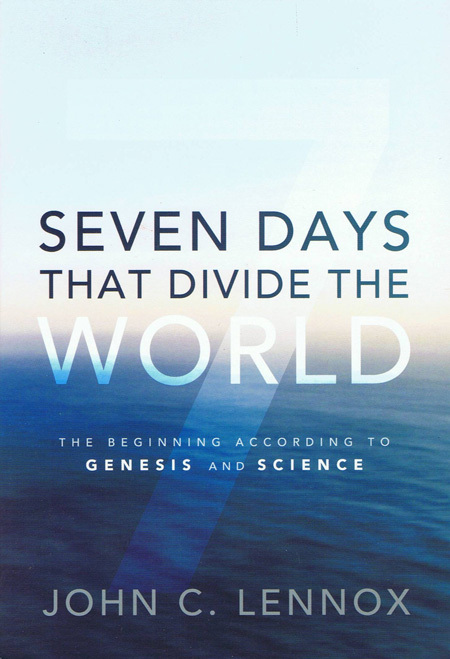 This is part six of a six-part series examining supposed evidences for a global flood that have recently appeared on the Answers in Genesis web site. The people at AiG are my brothers and sisters in Christ, and I share their love for the Lord Jesus Christ, their respect for the Bible as the Word of God, and their desire to see people come to faith in Christ. However, I view their arguments for a young Earth and geological catastrophism as unnecessary Biblically, as poor apologetics, and as a serious obstacle to the evangelism of scientists. Unfortunately, few people in our churches or Christian education system have the geological background to critically analyze these arguments. The result is that people read articles like these from AiG, find them to be rather impressive, and believe that these present sound arguments in defense of the Bible. The opposite, however, is true. A vast majority of Christian geologists find the arguments for a young Earth and the geologic work of the Flood to be untenable. It is my strong opinion that the young-Earth arguments of young-Earth creationist organizations like AiG have no place in our churches and Christian education system. Part four looked at the YEC claim that long-distance transport of sand grains can only be explained by Noah’s flood. Part five looked at unconformities and the boundaries between geological formations. The young-Earth crowd claims that there is no evidence for weathering and erosion between layers, which is simply not true. Fig. 1 — Basic diagram showing folded sedimentary rocks draped over a basement fault. 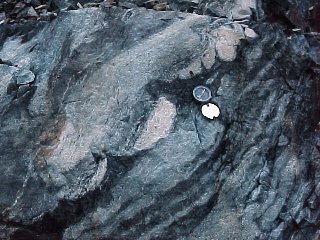 The sediments were deposited as horizontal layers, and then folded as faulting occurred in the underlying crystalline rocks. Snelling, who has a PhD in geology and is the director of the research department at Answers in Genesis, seeks to demonstrate that the entire sedimentary rock record in the Grand Canyon was unlithified (i.e. 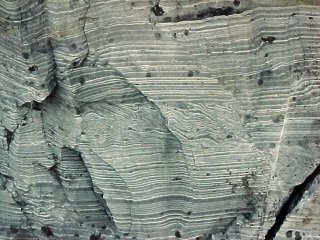 soft) when later folding and faulting occurred. If so, according to Snelling, these rocks could not have been deposited over a period of hundreds of millions of years, and must have been deposited during Noah’s flood. Snelling describes folding of rocks associated with the East Kaibab monocline, a structure in the Grand Canyon (Fig. 1). The Tapeats Sandstone, for example, has locally experienced intense folding where it has been deformed by faulting in the underlying Precambrian basement rocks. The Tapeats Sandstone is at the base of the Paleozoic rocks of the Grand Canyon; the overlying rocks have been deformed as well. If the rocks were solidified, then they would deform in a brittle fashion, characterized by faulting or shattering (Fig. 2). If the rocks were soft, then they would deform in a ductile (or plastic) fashion, characterized by folding. Both of these statements are overgeneralizations to the point of being deceptive when used to make the young-Earth case. The entire column of Paleozoic rocks at the locations described by Snelling is deformed by folding, so he concludes that the entire sequence of rocks must have been soft when deformed. Snelling’s argument fails for several reasons. 1. First, Snelling has oversimplified the processes of rock deformation by stating that it is either ductile deformation of soft rocks, or plastic deformation of soft rocks. It is one thing to simplify a scientific concept for the sake of writing for a general audience, but Snelling has completely mislead his readers on this one. Snelling states that only soft sediments are capable of ductile deformation; that soft sediments will deform like clay, while solid rocks are brittle and only capable of fracture. In reality, most solid rocks are capable of either brittle or ductile deformation, depending on the conditions. Factors that determine which will happen include the type of rock, the amount and type of stress applied to the rock; lithostatic pressure (due to the weight of overlying rocks), temperature, strain rate (fast or slow deformation), type of cement holding the grains together, and fluid pressure. At low temperatures and pressures, such as those encountered at Earth’s surface, almost all rocks deform in a brittle manner. If one applies sufficient stress to these rocks, they will break. As one goes deeper in the Earth’s crust, temperature and pressure increases, and rocks are more likely to behave in ductile rather than a brittle fashion. 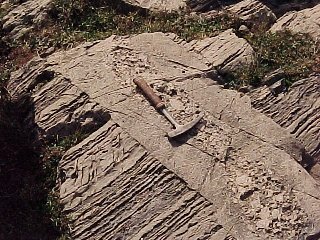 Some rock types can deform by folding at depths of less than one kilometer if stress is applied slowly. With increasing depth and temperature, more rock types can deform by folding rather than faulting. The Tapeats Sandstone is presently buried beneath up to two kilometers of sediment, and was likely buried more deeply than this at the time of deformation. Recrystallization — atoms are rearranged at the atomic level, often in the presence of fluids. Snelling completely ignores these, even though any of them could have been in operation at the time of deformation. 3. A third—and very serious—problem for Snelling’s argument is the nature of soft-sediment deformation. He tries to show that intense folding in the Tapeats Sandstone is the result of soft-sediment deformation. But if the Tapeats and overlying formations had been soft at the time of deformation, soft-sediment deformation and slumping would have occurred on a much larger scale than what is seen at this location in the Grand Canyon. When layers of solid rock deform, they maintain their integrity as distinct layers. For example, whether folded or faulted, the Redwall Limestone of the Grand Canyon retains its identity as a distinct layer, without mixing with other rock units. Soft sediments, on the other hand, can respond to stress in a number of ways. In addition to folding, a results of deformation of soft sediments includes different types of soft sediment deformation and differential loading structures, such as intense localized folding, diapirs, sand pillows, and clastic dikes (Fig. 3). These structures are formed because of the inherent instability of a stack of unconsolidated sediments of varying densities and water contents. Fig. 3A — Clastic dike — the layer going from upper left down to lower right has been intruded along a fracture, cross-cutting the original bedding. This happened while the sediments were still soft. Fig.3B –Soft sediment deformation — the upper and lower sediments are undeformed, while the middle layers are intensely folded. These are glacial lake sediments (varves), and the deformation may have been caused by the movement of glacial ice above the sediments. Figures 3A 3B 3C Credit: Dr. Steven Dutch, used by permission. Soft sediment deformation structures are common within individual layers of the geologic column, having been formed when these layers were unlithified. For the young-Earth creationists to make their case, however, they need to be able to demonstrate that soft sediment deformation is present in the geologic record on a massive, inter-formational scale. It would not be enough to point out isolated instances of soft-sediment deformation within layers. Fig. 4 — Folding of soft sediments would cause considerable slumping. 4. Related to the problem of soft-sediment deformation is the problem with slumping. If this stack of sediments—a few thousand meters thick—were faulted as in Figure 1, one would expect the upper layers to slide downhill under the influence of gravity (Figure 4). As a rule, this sort of thing is not observed in the geological record, and where it is (e.g. Heart Mountain, Wyoming) it clearly occurred in the solid state. It is common for young-Earth creationists to state that the geological record can be easily explained by Noah’s flood. They say that most sedimentary rocks are best explained by global, catastrophic processes, and that the fossils these rocks contain represent the organisms that died in the year-long deluge. The geological field evidence, on the other hand, really does not fit the flood catastrophism model. It must be emphasized that the Bible does not say that the sedimentary rock record was formed by Noah’s flood. 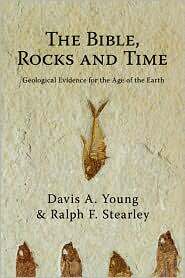 Unlike Snelling, most Christian geologists (along with their non-Christian colleagues) look at the rock record and agree that it was formed by slower processes operating over a long period of time. This is not something that geologists read into the rock record, but something they read from the rock record. 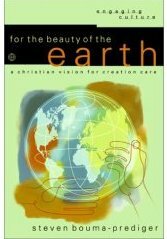 The young-Earth creationist approach is to try to make the Earth fit a very rigid understanding of Genesis. The result is often like trying to force a square peg into a round hole; it can only be done by distorting either the peg or the hole (or both). The end result is that neither young-Earth science nor young-Earth Bible interpretation is believable. A better approach is the “all truth is God’s truth” approach. 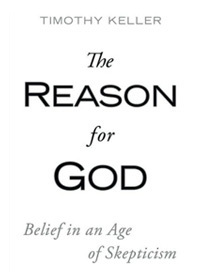 I start with the assumption that both the Bible and what God tells us through science is true. It is not wise to make one fit the other in an unnatural way. Does this lead to tension? A little, but not as much as either the young-Earth creationists or the atheists/skeptics would have you believe. 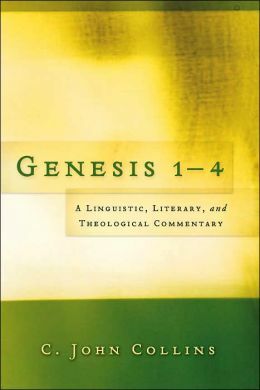 We do not fully understand either science or the opening chapters of Genesis. When we do (not in this life, I suspect) then the tension will be gone. 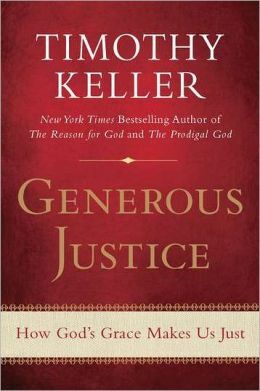 With love for the body of Christ, and for those who are hindered from seeing the glory of Christ by bad apologetics. I’ve read the AiG article, and it just doesn’t work. The question is whether folds were formed when the rocks were solid or unconsolidated. Other Christian geologists I know have pointed out that Snelling uses selective evidence in his study, as other parts of the same layers show very clear signs of solid-state deformation. The way to see how solid rocks can bend is to take rocks and put them in a press in an engineering laboratory and see how they behave under stress. That has been done many times, and indeed you can do all sorts of things to rocks by putting pressure on them. In Earth’s crust, this results in the folds and faults that make up much of the world’s major mountain belts. These rocks show many signs of solid-state deformation. If one applies the same sorts of pressure to layers of unconsolidated sediments (sand, silt, clay, etc.) the results are very different. Instead of getting folded layers of rocks, one gets chaos, with blobs of material distorting and either sinking or rising, depending on density. This is called soft-sediment deformation, and is readily distinguishable in the field from solid-rock deformation. What is observed on a massive scale in the Earth’s crust (with some exceptions) is deformation of solid rocks, not soft-sediment deformation. If the bulk of the sedimentary rocks were laid down by Noah’s flood (and the Bible does not say that they were) then soft-sediment deformation on a massive scale should be a dominant feature of the sedimentary rocks, and it isn’t. The “all sediments must have been laid down rapidly and while being soft” argument is not consistent with laboratory and field studies, and should not be used as Christian apologetics. This is part five of a six-part series examining supposed evidences for a global flood that have recently appeared on the Answers in Genesis web site. To say that there is no evidence for extensive weathering and erosion in the geologic column is simply not true. The geologic record is comprised not only of rocks formed by deposition of sediments, but also by the gaps between these rock layers which represent times of non-deposition or erosion. In order to make his case that there is no evidence for long periods of weathering and erosion in the geologic record, Snelling looks at four examples of contacts between formations in the Grand Canyon, while ignoring perhaps the greatest example of weathering in the canyon’s sedimentary rock layers. In each of these cases, the standard geological interpretation is that there was a period of time—in some cases over 100 million years—between the deposition of these formations. Snelling attempts to show that deposition of these units occurred during Noah’s flood, with only minimal time gaps between the formations. 1. The contact between the Cambrian Tapeats Sandstone and the underlying Precambrian rocks. The Precambrian rocks at the base of the Grand Canyon include layered sedimentary rocks (see picture below) as well as metamorphic rocks. These were eroded to a flat surface before the Tapeats Sandstone was deposited (the Tapeats was discussed back in part 3 of this series). According to Snelling, there is no evidence for weathering (e.g. soil formation) on the Precambrian surface. It may be true that no paleosols (ancient soil layers) have been found beneath the Tapeats in the Grand Canyon, but certainly the deposition, lithification (process of turning sediment into stone), and tilting of the Precambrian sedimentary rocks and their subsequent beveling off took some time and involved erosional processes. Some young-Earth creationists would claim that these Precambrian rocks are pre-Flood deposits, but it should be noted that they contain some fossils, such as stromatolites and even possible jellyfish. If the Flood had eroded the Precambrian (pre-Flood rocks in the young-Earth scenario), we should expect to see a very uneven surface. The basement rocks (Vishnu Schist and associated granitic rocks) would be very resistant to erosion and should have formed topographic highs. The Precambrian sedimentary rocks would have had varying levels of resistance to erosion, and should have formed a series of ridges and valleys, with the more-resistant layers forming the ridges. It is difficult to visualize a global flood creating a flat surface like what is observed. Precambrian rocks beneath the Tapeats Sandstone are eroded to a level surface. If the Precambrian surface had been eroded by the Flood, one would expect more-resistant rocks to form topographic highs. There may not be paleosols (soil horizons) developed on the Precambrian rocks in the Grand Canyon, but they are present elsewhere, such as the contact between Precambrian basement rocks and the Cambrian Lamotte Formation in Missouri. 2. The contact between the Mississippian Redwall Limestone and the underlying Devonian Temple Butte Formation and Cambrian Muav Limestone. Snelling correctly observes that the top of the Muav contains what appear to be erosional channels, some of which are filled with the material that makes up the Temple Butte Formation. However, Snelling dismisses these as evidence for stream erosion, preferring to interpret these channels as having been caused by the Flood. Snelling goes further to claim that the Redwall and Muav show signs of interbedding. The contacts between some rock units are distinct. For example, higher in the geologic column, there is a distinct point where the Hermit Shale ends and the Coconino Sandstone begins (see #4 below). There is no mixing of any sort between the two. Not all contacts between formations are this sharp; some are considerably more transitional. Interbedding is a type of transition where there are alternating beds of the upper and lower formations, so rather than going directly from formation A to formation B, the transition might go A-B-A-B-A-B. This could represent a migrating shoreline as the sediments pile up, with unit A being deposited further to the right at some times, and further to the left at others. An important part of this concept is that A and B are being deposited at the same time, one closer to the shoreline, and one further out. If the Muav and Redwall were truly interbedded, it would be a major challenge to accepted interpretations. The Muav is Cambrian, and the Redwall is Mississippian, so there should be over 100 million years of non-deposition or erosion represented by the boundary between the two. If they are interbedded, this would imply that they were being deposited at the same time. The channels beneath the Redwall appear to be real stream channels, though as far as I know this cannot be conclusively demonstrated at this time. The Temple Butte Limestone fills these channels. Paleontological evidence suggests that this is a freshwater limestone. How did this happen during a global salt-water flood? A diagram of the supposed interbedding is shown here (figure 3). The blotchy nature of the contact between what the authors call the Muav and what they call the Redwall looks like a secondary, post-depositional feature (diagenetic) rather than a primary, depositional feature. This could have been formed by groundwater at any time after the deposition of the Redwall Limestone. If this were true interbedding, it certainly would have been puzzled over by many a geologist hiking along the very popular North Kaibab Trail in the Grand Canyon. 3. The contact between the Permian Hermit Shale and the underlying Pennsylvanian Esplanade Sandstone. Snelling claims that interbedding of the Hermit and Esplanade proves that there was not millions of years between their deposition. This may be a case where interbedding is legitimate; they could represent adjoining sedimentary environments, at least for a time. There is not a huge time gap between the two formations. The erosional relief on top of the Esplanade is up to 16 m (60 ft), which appears to be the result of stream erosion. (USGS Geologic Investigations Series I–2688). Snelling doesn’t mention this. Paleontological and petrologic (rock) evidence indicates that both of these units were formed in swampy environments, not in a global flood. 4. The contact between the Coconino Sandstone and the underlying Hermit Shale, both of Permian age. In the previous two examples, Snelling says the boundaries between formations appeared to be too diffuse to represent vast gaps in geologic history. The Coconino-Hermit boundary, on the other hand, appears to Snelling to be too sharp. The Coconino is a wind-deposited sandstone, with terrestrial arthropod and reptile tracks, as well as animal burrows. What were paleo-lizards doing running around on the sand in the middle of the flood? By itself, this ought to rule out a flood explanation for the Coconino. In an increasingly arid environment, it should not be surprising that there is little in the way of stream channel erosion or soil development beneath the Coconino. 1. Paleosols — I have briefly referred to paleosols (ancient soils) already. The formation of a soil on top of bare rock or sediment takes a combination of physical weathering, chemical weathering, biological processes, and time, and is a process that normally takes thousands of years. If paleosols exist within the geologic record, they are strong evidence that there were long periods of time when rocks or sediments were exposed on the surface to the atmosphere. My graduate research was in the Palouse Loess of Eastern Washington, which contains multiple, stacked paleosols. Each of these paleosols contains soil horizons identical in character to modern soil profiles in the area, complete with root casts and animal burrows. Each paleosol would have taken several hundred or even thousands of years of surface stability to form, only to be buried by an influx of wind-blown silt, setting the stage for the next time of soil formation. The Palouse Loess is a Quaternary formation, and young-Earth creationists would say that this was formed after the Flood. This is from just one journal; there are undoubtedly thousands of documented paleosols in the geologic record. A majority of the articles I found were about Cenozoic paleosols, but I ignored these for brevity and also because many young-Earth creationists describe Cenozoic rocks as being post-Flood (a position which has just about as many problems as the rest of young-Earth creationism). 2. Paleokarst — Karst topography is formed by the dissolution of carbonate rocks, such as limestone. Features of karst topography include caves, sinkholes, and disappearing streams. Karst topography is common in areas underlain by limestone, and one would expect that this would have been the case throughout geologic history. Snelling completely ignores the greatest evidence for weathering and erosion in the Grand Canyon, and this is the paleokarst (ancient karst) that exists in the Redwall Limestone. Snelling wrote about the bottom of the Redwall, but not its top! The Redwall appears to have all the features of karst topography, such as rubble (breccia) filling sinkholes, and a chaotic upper surface. Karst topography on top of the Redwall implies that there was a considerable amount of time when the consolidated limestone—as opposed to fresh limey sediments—was exposed to the atmosphere, with freshwater circulating through the rocks. This could not have happened in the context of a global flood. Many of the features I have described are difficult to explain within the young-Earth model for Earth history. These include ancient soil layers, ancient karst systems, and the difficulty of producing the flat surface that underlies the Cambrian in the Grand Canyon. Young-Earth creationists seem to acknowledge that the geologic record contains evidence of periods of non-deposition and erosion, as well as periods of deposition. The difference would be a matter of time scales. Geologists are willing to talk about periods of millions of years, whereas young-Earth creationists have to squeeze these events into periods of hours or days. What sort of erosion would occur in a global flood? The young-Earth literature implies that the flood began with an intense period of erosion, with forces powerful enough to pulverize granite. It seems that this continued in various places throughout the flood. Would we not expect, therefore, that a significant feature of the geologic record would be mega-scouring of soft sediments? Snelling refers to something called “sheet erosion” which conveniently doesn’t scour soft sediments. I don’t think he can have it both ways: sufficiently strong to shatter granite, but gentle enough to produce smooth surfaces on mud and sand. There are numerous other indicators of a passage of time within the rock record. These include vertebrate (amphibian, reptile) nests, which imply a time when the land was sufficiently dry for a long enough time to allow mating, nest-building, and rearing of young (at least some dinosaurs cared for their young). This could not have happened in the middle of the Flood. Other shorter-term indicators of periods of non-deposition include worm burrows, raindrop impressions, and mudcracks, all of which are common. There is considerable evidence in the geologic record for long periods of slow, gradual weathering and erosion. Paleosols represent periods of stability, when sediments or rocks were exposed to the atmosphere for long periods of time. These ancient soils include features such as plant roots and animal burrows. The contacts between sedimentary formations represent periods of erosion or non-deposition, and often are somewhat irregular, being cut by stream channels. In other places, limestone formations show signs of having been exposed to freshwater groundwater circulation, resulting in paleokarst. As with the other “flood evidences,” this one turns out to be completely inadequate as an explanation for how the Earth got to be the way it is. 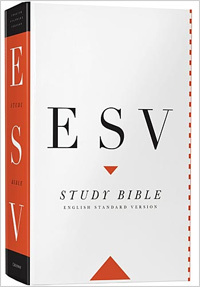 Because of this, Flood Evidence #5 ought not to be used in defense of the truthfulness of God’s holy word, the Bible. Up next: Flood Evidence #6: Rock Layers Folded, Not Fractured.